RIDGELINE CLOTHING - Website of Outdoor Sports New Zealand! The Ridgeline philosophy has been consistent from the early beginnings until now - to ensure that comfortable, durable performance outdoor clothing should be affordable. 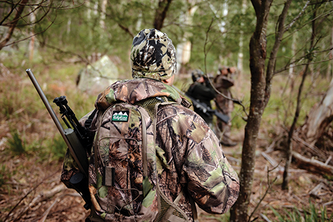 With the characteristic Ridgeline 'Big Four' - Warmth, Comfort, Durability & Functionality, combined with superior designs and its own 'Hide & Seek' Buffalo Camo, Ridgeline is the choice of many hunting and outdoor enthusiasts alike.